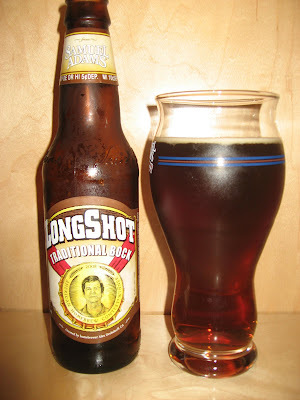 In honor of the Bock tasting going on at Abraxas on Wednesday night I decided to review the Samuel Adams Long Shot Traditional Bock. 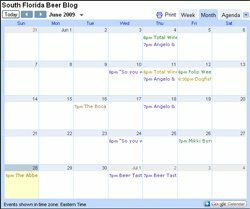 The Sam Adams Long Shot series is a contest that Sam Adams has every year to find the best homebrews in the country and then Sam Adams brews it for mass consumption in this limited six pack. This version of Long Shot six pack also comes with a Double IPA and a Cranberry Wit. You get two of each beer. This traditional bock pours a nice dark amber with a very thin head. It gives off a nice malty aroma initially but once it warms up a bit the aromas get a bit more fruity with some cherry and sugar. The malt and fruits carryover into the taste as well. As the beer warms the fruitiness comes out more and the maltiness moves back a bit. The lack of carbonation in this gives it a creamy mouth feel. Their is a slight alcohol taste at the very end but dissipates very quickly and leaves you with that maltiness that bocks are known for. It makes you want to come back for more. I enjoyed this beer and would drink it again, for sure, if it was around but not something I would necessarily seek out.